Imaginary Teleprompter, sometimes referred to simply as Teleprompter, is a professional, free software, easy to use teleprompter software, that runs on many kinds of computers. We created it to promote the democratization of media by enabling more people to produce quality contents at low cost, and to promote the adoption of free software solutions by the media industries. 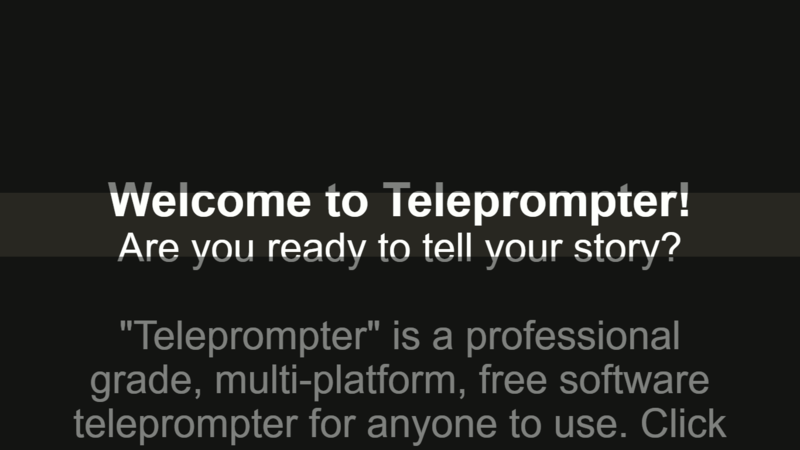 Since November 2018, Imaginary Teleprompter is the #1 free software teleprompter for desktop computers. It is built with web technologies so anyone can customize it to their needs. 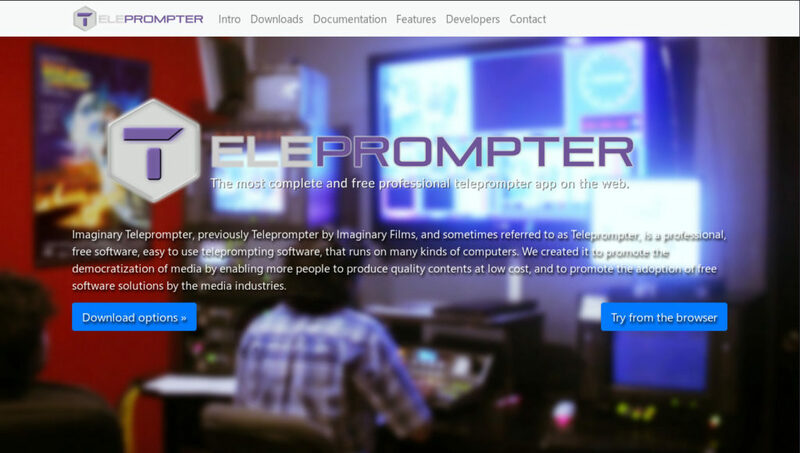 Teleprompter may be run on a web browser or as a standalone application for additional features. Imaginary Teleprompter’s development began on November 30th 2015, during Local Hack Day, at the University of Puerto Rico at Mayagüez. The original source code is preserved, but it does not form part of the current git tree.